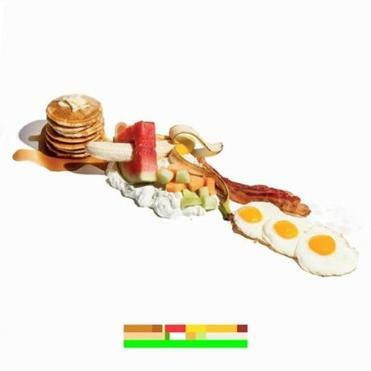 The third album from the New York trio Battles opens with a sputtering noise: a sign that what’s to come will be rife with the unexpected, whether it’s the jingle bells that anchor the opening track “The Yabba” or the music-box treatments given to the guitars on the dizzying, triumphant “Cacio e Pepe.” The band — Dave Konopka on bass and effects, Ian Williams on guitar and keyboards, and the storming John Stanier on drums — is one of rock’s most exciting because of its inability to stay inside any stylistic box, and this vocals-free album shows it at the peak of its music-bending powers. “Dot Com” plants heady arpeggios atop finicky keyboards that wouldn’t have sounded out of place on a Blondie record; “Tricentennial” combines a thick riff and galloping-hordes drums with a high, tight guitar line that sounds like a caution flare. The players clearly thrill in wringing every possible sound out their instruments, making “La Di Da Di” one of the year’s most satisfying trips into the sonic unknown.